Perfect size for a keep cup. 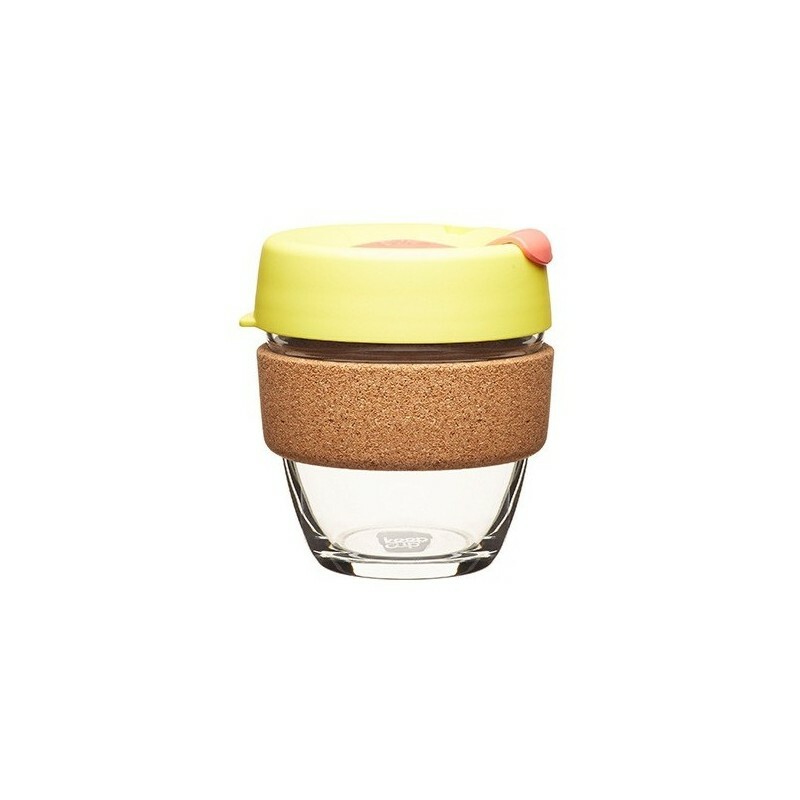 Unlike plastic keep cups, the glass is very easy to clean and does not start smelling of tea or coffee after long term use. Love this cup. Its great to hold, beautiful colour and if you are pushing a pram and your coffee cup bounces around and the coffee flies everywhere then it won't be a problem with this as you can seal the hole for drinking. 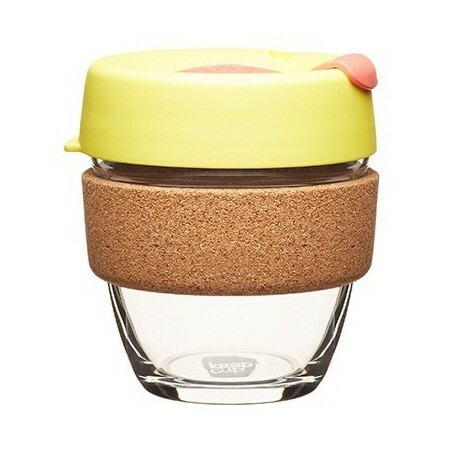 You can't put it in the dishwasher as its cork but that doesn't bother me.